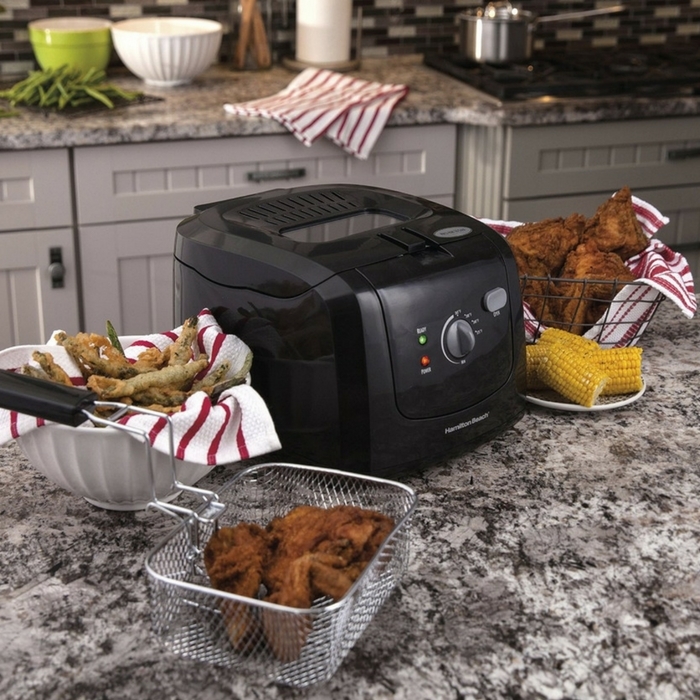 Hamilton Beach Cool Touch Deep Fryer Just $22.94! Down From $50! You are here: Home / Great Deals / Amazon Deals / Hamilton Beach Cool Touch Deep Fryer Just $22.94! Down From $50! If you love fried foods like french fries, onion rings, fried chicken and more then this is perfect for you! You can fry crispy, mouth-watering foods without the mess you’ve come to expect. Plus, its cool-touch sides won’t burn your hands if touched accidentally. At Amazon, Hamilton Beach Cool Touch Deep Fryer is now on sale for just $22.94 down from $49.99 PLUS FREE shipping with Amazon Prime or for orders over $35!